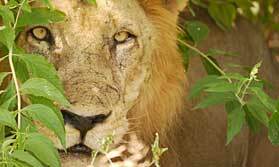 Tanzania, time to relax on the spice island of Zanzibar, or perhaps a Kilimanjaro climb .... Tanzania really does have a great deal to offer whether you want to chill out, be challenged, or take an exciting tailor-made Tanzania safari holidays. 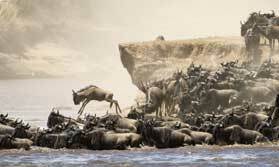 Tanzania, in the heart of East Africa, is home to some of the most concentrated populations of wildlife in Africa. 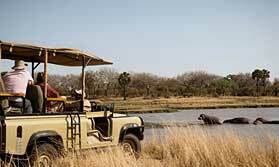 As a safari destination, Tanzania is world-famous for locations such as the Serengeti, the Ngorongoro Crater, Tarangire and Lake Manyara. 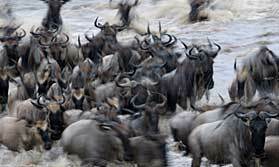 This is where the great migrations take place, and hundreds of thousands of plains animals can be seen on the move. Based at comfortable safari lodge, a safari holiday in Tanzania can be one of the most exciting wildlife experiences you can have. There is resident wildlife here throughout the year. 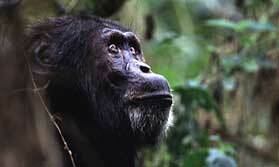 In the remote parks on the edge of Lake Tanganyika, there are thriving populations of chimpanzees and it is a very special experience to see these animals in the wild. Southern Tanzania offers a more remote and untouched wildlife safari experience with much quieter, smaller lodges and less visitors. 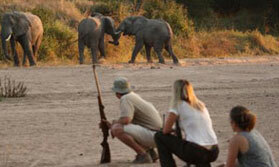 Southern Tanzania safaris offer an amazing variety of wildlife and scenery. 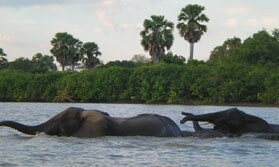 In the Selous, boat safaris are a popular option. 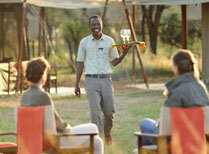 Ruaha National Park is one of the most scenically stunning and ecologically diverse locations for wildlife and for a unique combination of 'bush and beach' for the only National Park on the coast, try Saadani on the Indian Ocean. As well as wildlife watching you can climb Kilimanjaro, Africa's highest mountain, or visit the place known as the 'cradle of mankind', Olduvai Gorge, where the Leakeys unearthed the secrets of man's early evolutionary heritage. Tribes works closely with native peoples such as the Maasai and Iraqw, and offer a number of Tanzania safari holidays and treks where the Maasai guide you through their lands, giving you another fascinating dimension to your safari in Tanzania. And of course there is Zanzibar - the legendary Spice Island in the Indian Ocean, as well as several lesser known islands like Chumbe and Mafia, where you can relax on white coral beaches. 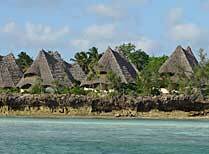 Add a magical stay on one of these islands after your Tanzania safari, and you have the perfect holiday. Four days of superb wildlife viewing in Selous in southern Tanzania is followed by 5 nights at an Indian Ocean beach lodge. 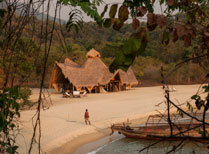 A wonderful trip at a great price. 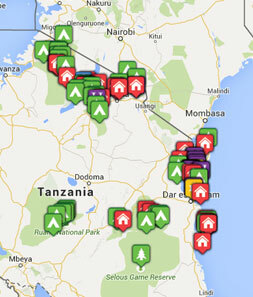 Below you'll find some of our very favourite places to stay in Tanzania. However you can also see our full directory of properties by clicking the "All Places to Stay" button. 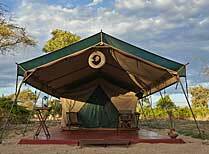 A luxury seasonal tented camp in the Serengeti, with two locations to follow the migration. 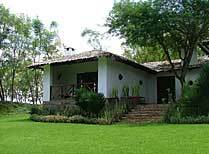 Plantation Lodge has 15 elegant rooms in a lush, shady garden near the Ngorongoro Crater. 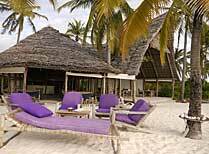 Unguja Resort is located on the southern tip of the island of Zanzibar and offers spacious and stylish accommodation.